Do you know benefits of strawberries for skin? This sweet fruit is in season from late spring to early summer. They can be eaten various ways. Add them to salads, cereals, oatmeal, cakes, pies, ice cream, milkshakes, smoothies and in other ways. Strawberries can be found at your local farmers market, grocery stores or strawberry field. Picking strawberries at a strawberry field can be a fun activity for all ages! Check your local listings for a strawberry patch close to you. I visited an organic strawberry field at Valley Home Farm in Wartrace, Tennessee. Find organic strawberries, blueberries and blackberries, (with no pesticides). Antioxidants are chemical compounds that inhibit oxidation. They are the body's friend. They seek out, neutralize and destroy free radicals that wreck havoc on the body. Free radicals speed up the aging process by breaking down collagen and reducing oxygen levels in cells. When free radicals overcome antioxidants, aged or poor skin conditions may develop. Wrinkling, pre-cancerous or cancerous lesions may occur. Antioxidant fruits and vegetables improve skin condition and boost the immune system. BENEFITS of VITAMIN C: Strawberries contain high amounts of vitamins and minerals, especially vitamin C. Vitamin C has anti-aging properties. Reduce appearance of fine lines, wrinkles and blemishes. Improve skin elasticity and regenerate skin cells. 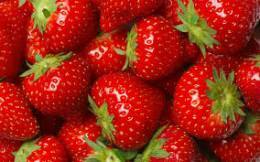 SALICYLIC ACID: Strawberries contain a natural source of salicylic acid. Salicylic acid is a gentle exfoliant to skin. It eliminates build-up of dead skin cells. Lighten skin, reduce dark under eye circles, attack damaging free radicals. Fight acne and pimples. Fade acne scars and blemishes. Improve your overall complexion. ALPHA HYDROXY ACIDS: Destroy free radicals causing premature aging. Lighten and fade age spots, acne scars and blemishes. NATURAL ASTRINGENT: Strawberries are a natural astringent and anti-inflammatory. Reduce under eye puffiness. Tighten skin. ACNE RELIEF: Strawberries help reduce acne break-outs. Vitamin C, Alpha Hydroxy Acids and Salicylic Acid help clear acne and reduce oil from skin. NOTE: Strawberry face masks are for dull, damaged or acne-prone skin. Salicylic acid in strawberries can be too drying for dry skin and too harsh for sensitive skin. 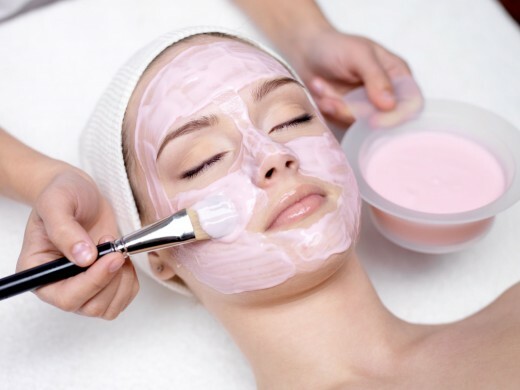 Never apply a homemade face mask to skin before trying a spot test on skin first. Check to see if skin reacts. Rinse with cool water and discontinue immediately if skin reacts poorly with redness, inflammation, itching, burning or any other skin irritation. Contact your medical provider, if needed. Homemade lip balms can have many different flavors, including strawberry. Strawberry flavored lip balm can have a sweet, fruity, taste. A combination of soothing ingredients can relieve dry, chapped lips. Avoid commercial products with harsh, manufactured, ingredients! Harsh ingredients can dry out, irritate and crack skin. CAUTION! Do not allow lip balms to be in excessive heat. Do not leave them in a hot car or other heated environment. Excessive heat causes rancidity, quickly. Discard lip balms with foul odor. Lip balms contain oils that need to remain in cool environments, like air conditioned rooms. The shelf life of most lip balms is about 8 - 10 months, opened, and about 1 year, unopened. Discard lip balms after shelf life has exceeded. 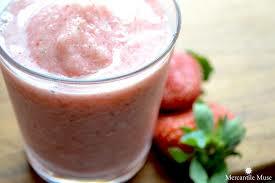 Enjoy benefits of strawberries in delicious smoothies! Here are a few of my favorite smoothie recipes. They are easy to make. Sometimes I add vegetables to my smoothie recipes, like spinach, cucumber, kale or carrots. I experiment with recipes to find the combination of fruits and vegetables, just right for my taste. Make your own delicious smoothie recipes! Experiment with different antioxidant fruits and vegetables.